Tucson auto restoration authority,Cutting Edge Collision Center, releases a list of helpful tips to assist automobile owners involved in an accident that requires automobile repairs or restorations. According to the U.S. National Highway Traffic Safety Administration, over 10 million traffic accidents occur annually in our country. Most drivers that have been operating a motor vehicle for any length of time have experienced an automobile accident. No matter what the severity of the crash is, that horrible sound of two cars colliding is very traumatic, and can adversely affect the mental clarity of a driver. For this reason, it is imperative that, if possible, the drivers stay calm, assess the situation and take the following steps if a wreck should occur. 1. Assess the physical condition of you and your passengers. If there are any injuries or suspicion of injuries, call for medical help immediately. 2. If your vehicle is movable, get as far to the side of the road as possible, but remain at the scene of the accident. 3. If the accident calls for police assistance, call them to report it. 4. Contact your insurance company to let them know what the situation is so they can begin the work on the claim. Be sure to collect a claim number at the time of the call. 5. Do not discuss who is at fault or the details of the accident with anyone except the police and your claims representative. 6. Exchange information with the other driver or drivers. Make sure to get his or her address, phone number and license number, as well as the pertinent insurance information. It is also a good idea to collect identification and contact information from any bystanders that witnessed the accident. 7. If you have a camera or a phone with a camera, take a series of photographs showing the damage to each vehicle. Get the shots from several angles, and include an overall shot of the accident scene, including the position of the cars involved. 8. If you are aware of what auto collision repair facility you want to use, give them a call. It is important to bear in mind that you have the right to use any repair facility you want; not the one that the insurance company wants you to use. Cutting Edge Refinishing is a full service auto body shop in Tucson, Arizona that specializes in collision repair, custom paint (including graphics and airbrushing on autos and motorcycles), restorations, and RV body and paint repair. 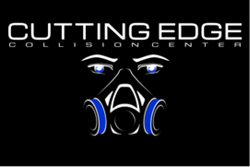 For more information on Cutting Edge Refinishing, or current trends in the auto body repair industry visit Cutting Edge Refinishing online at http://www.cuttingedgeref.com.